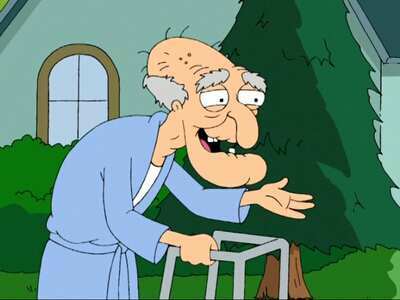 Family Guy is one of the best shows on TV. It’s packed with dry humour and sharp pop culture references, and like all good sitcoms, the show is crammed with hilarious characters – one of them being Herbert, the old man who lives down the street from the show’s main family, the Griffins. You’ll probably know him for being instantly recognisable with his dressing gown and zimmer frame, but more so for his high pitched voice. He’s also known for some, uh, other things as well. And the good people over at Reddit may have found his real-life voice twin. 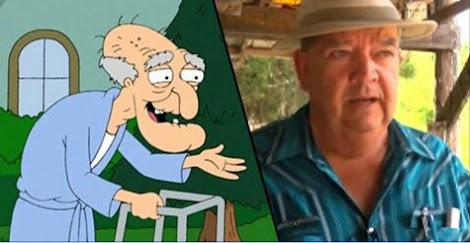 Yup, there’s a guy who sounds exactly like Herbert from Family Guy – and it’s uncanny. This segment, taken from an American news story, features a man named Charles Womack who sounds exactly the same as Herbert. No joke. The news story itself is about Womack refusing to shut down or make any changes to Blue Cove Hideaway, a dangerous swimming area that has been the location for two water related deaths in recent years. The segment itself is very serious, so we probably shouldn’t be laughing, to be honest. We’re going to hell, aren’t we?